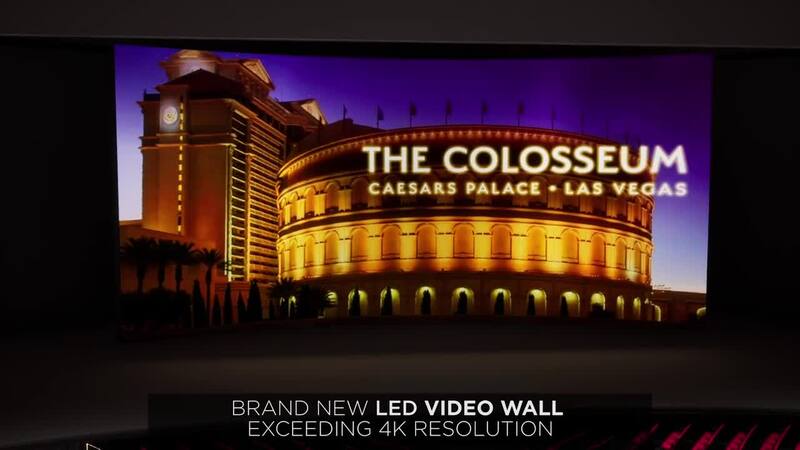 The Colosseum at Caesars Palace is getting a high tech makeover. The Colosseum will undergo an exciting evolution to incorporate a new state-of-the-art sound system, new moving light fixtures and high-definition LED video wall, while still preserving the celebrated character and prestige of the iconic theater. Once the renovations are complete, the venue will be able to facilitate multiple seating arrangements, including VIP banquettes with bottle service and a general admission setup on the main floor. As Celine Dion's residency comes to an end, Caesars Entertainment will assume operational control of The Colosseum and begin its partnership with Live Nation. “We’re thrilled to make the best entertainment experiences in Las Vegas even better by enhancing The Colosseum at Caesars Palace with its innovative design and unique elements,” said Jason Gastwirth, president of entertainment for Caesars Entertainment. The Colosseum will begin its refresh in early July and marks the first major update to the space since its revolutionary debut on the Las Vegas Strip when it was built for the opening of Celine Dion’s epic multi-decade long Las Vegas residency. The Colosseum renovation is set to begin after the final dates of Reba, Brooks & Dunn on July 6 and is slated to reopen again in early fall.